The verdict for the EMSCO Graffiti Kid’s Snowboard goes out in the positive of young and enthusiastic kids who are always up and want to ride a snowboard at the speed which they want. 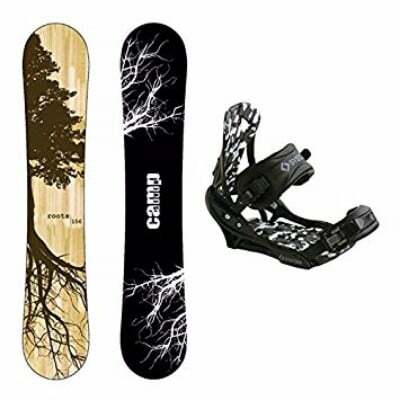 It is a great snowboard with so many great features for the rider that include a good design which is suitable for beginners like kids and it is not very expensive as well. Snowboarding isn’t only made for adults but also for the kids. They enjoy riding their snowboards and playing in the snow more than an adult would. For this reason, EMSCO has designed a snowboard for children aged 5 to 7. 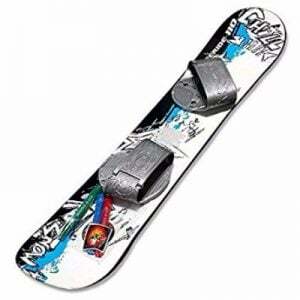 The EMSCO Graffiti Kids Snowboard is very user friendly and you will be able to enhance your skills through it. Before you make up your mind about buying this board for your kid, you should read the following review below to find out more about its features. It’s guaranteed that you will love this snowboard. This Kids Graffiti Snowboard is specially designed for children of ages 5 years to 7 years old. As they need to learn first, they need to have board without so many features that would complicate their ride. 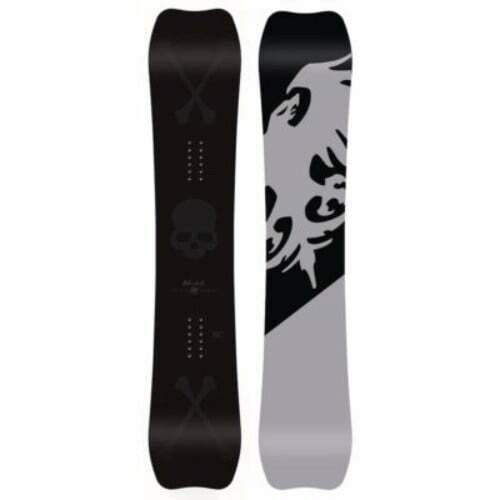 This snowboard, provides the rider with an ergonomic design which helps to improve snowboarding skills as well. The compact design is perfect for the kids. Experts recommend riding on a low slope when you start your training. You will also be provided with maximum safety when you’re using this board as it features a safety handle. You can grab on the handle while you’re riding and it will not cause any disturbance. 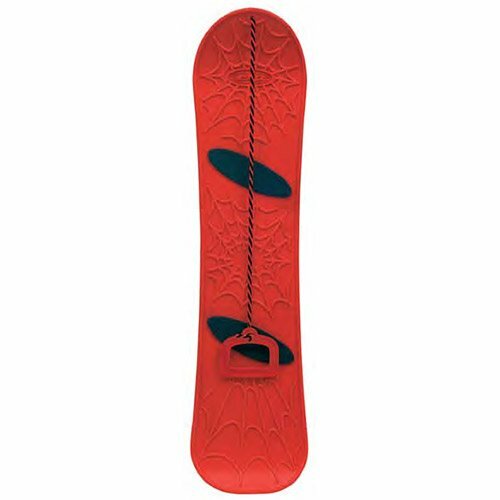 This kids snowboard weighs around 3.5 pounds and can carry a maximum weight if 95 pounds. You will notice this board has a super solid construction which makes it durable and last long for many years. The quality will remain as good as a new snowboard has. It is guaranteed that your kids will be able to enjoy snowboarding with their favorite snowboard as much as they like to. The foot pads on this board make sure your feet stay positioned and that you practice correct upright stance. Also, the children will be attracted by the colors and the graffiti on this board. This way, they’ll want to spend more time snowboarding. The verdict for the EMSCO Graffiti Kids Snowboard goes out in the positive of young and enthusiastic kids who are always up and want to ride a snowboard at the speed which they want. 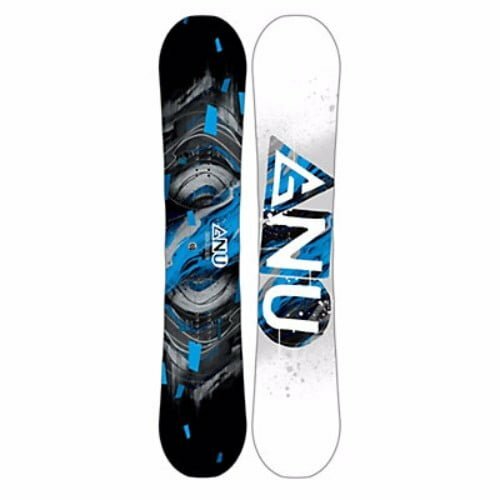 It is a great snowboard with so many great features for the rider that include a good design which is suitable for beginners like kids and it is not very expensive as well. It is a relatively safer option as well. It might not last for a very long period but it will be fine for a season or so. Get it from amazon.com right away and have one of the best experiences for your child.